After eight years of strong measures, the United Kingdom saw a sharp deterioration in its living standards. The Labour Party will examine the main implications of budget cutting in a conference on 27 October. 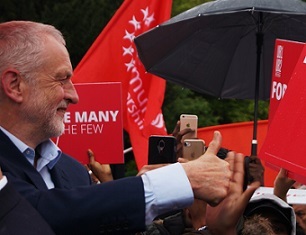 During a speech marking the 70th anniversary of the creation of the NHS, the leader of the Labour Party claimed that “there is mounting evidence that austerity and inequality are killing people”. Also, in order to tackle health inequality, Corbyn promised an increase in funding for the health service and will launch what he defined as a “national mission” to fight to ill health and deprivation. The crisis that the NHS is facing has been also recognised by the Tories as the former Conservative health secretary, Andrew Lansley, was diagnosed with a bowel cancer in April. Lansley blamed not just IT failings and a shortage of endoscopists, but also Treasury cuts to a body overseeing the NHS’s workforce development. The NHS has not been the only “victim” of budget cutting. Since 2010, London started to reduce its support for local governments. For example, the borough of Knowsley’s budget was cut nearly by half, while Liverpool’s budget was reduced by almost two-thirds. Consequently, over the years, the increase in austerity measures has led to a sharp deterioration of the quality of life in the United Kingdom. This is why Jeremy Corbyn for PM, together with John McDonnell-The People’s Chancellor, Labour Assembly Against Austerity and London Labour Left are organising “Stand with Corbyn- Unite to end Tory Austerity”. The conference is a Labour assembly against austerity. It will be attended by Diane Abbott MP, Jon Trickett MP, Richard Burgon MP, Maya Goodfellow, writer & commentator, Chris Williamson MP, Claudia Webbe, Labour NEC, Cllr Alice Perry, Labour NEC member, Dan Carden MP, Seema Chandwani, Labour CAC member, Grace Blakeley, economist & writer, Duncan Bowie, housing expert, Sian Errington, Labour Assembly Against Austerity, Roger McKenzie, UNISON Assistant General Secretary and more special guests to be confirmed. “Stand with Corbyn- Unite to end Tory Austerity” will take place on Saturday, 27 October, from 10am to 5pm, at the Student Central, Malet Street, Bloomsbury, London WC1E 7HY. For further information, please visit Facebook event. The Many are 100% behind Labour and Corbyn.